Amaechi speaking with EU delegation on Thursday said Jonathanâ€™s administration withdrew his security and made him prone to attacks during the 2015 elections. According to him, he was attacked several times as a governor during Jonathanâ€™s administration yet nothing was done about it. 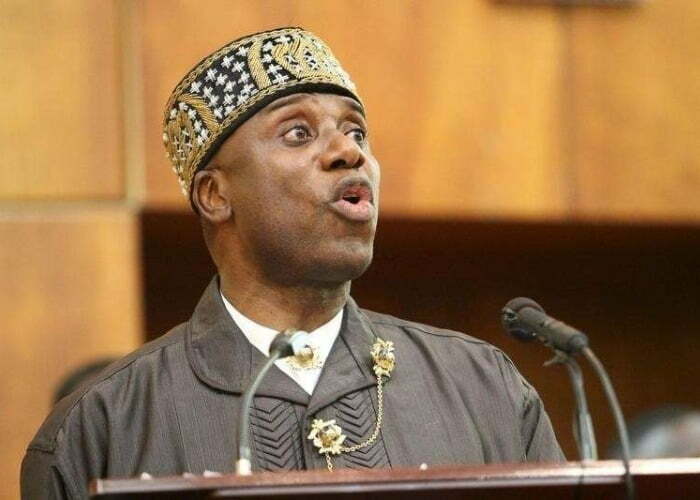 Amaechi said: â€œOne assurance I will give you today is that weâ€™ll stand by the Independent National Electoral Commission (INEC) and we will stand by whatever decision they make. We believe that we promised Nigerians change and I also believe that you can observe the change. â€œBy this time in 2014/2015, when I was still in office as governor, I was on fire. Everybody was on my neck. The then President had withdrawn my security. My ADC and CSO were on the run; there was no police security and nobody cared. They didnâ€™t bother that I could be killed or attacked. â€œI was attacked several times. I was attacked in Port Harcourt. But now, we believe the President that they were accusing that would be undemocratic because he is a retired soldier is more democratic than a civilian that was elected in the past.